Mews Auctions has been trading for the past 28 years and is the only weekly auction in the Forest of Dean. Established in 1989 by Ken and Dorothy Hayward, Mews Auctions' success through nearly 3 decades has made the Mews name known throughout the Forest and beyond. Stop and ask any Forester if they have ever been to a Mews Auction and it's unlikely you will ever get a negative reply or adverse comment. Ken & Dorothy retired in June 2017 and the business is now under new management and has been re-launched with new and exciting ideas, but still retains Mews' niche auction market identity and unique customer service. 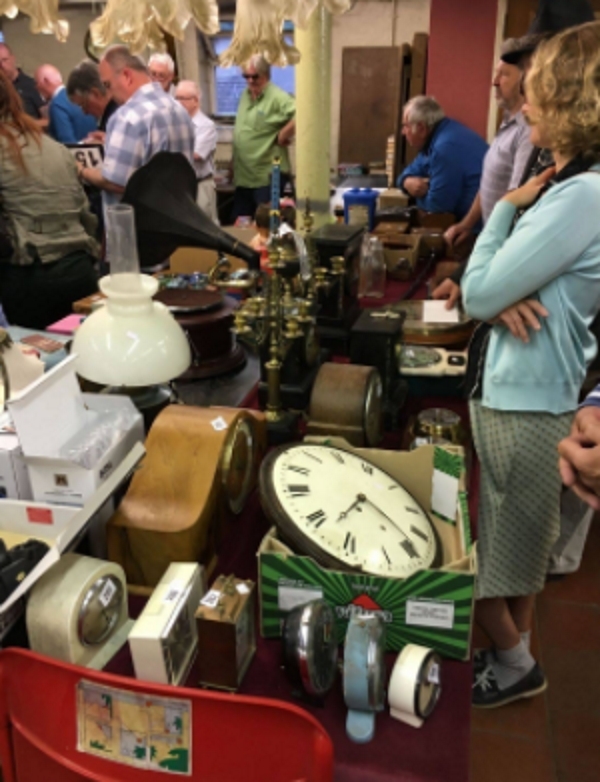 Mews Auctions is the predominant auction house in the Forest of Dean area selling a complete variety of Household Goods and Chattels, Antiques, Collectables, Garden and Outdoor Equipment, Paintings, Clocks, Furniture, etc. In fact, almost anything and everything from Artists' Easels to Z-Beds. Thursdays are closed to the public for 'Lotting Up' the next evening's sale and viewing is on Fridays 11:00 a.m. to 6:00 p.m.
Our bespoke auction software, Praeco, designed and written by Forest of Dean man Dave Stephens, is so sophisticated that we are able to make payments to Sellers as soon as the winning Bidder pays for the item. Also, we offer Free Fibre-Optic Wi-Fi so our Customers can always be in touch with Friends and Market Trends.